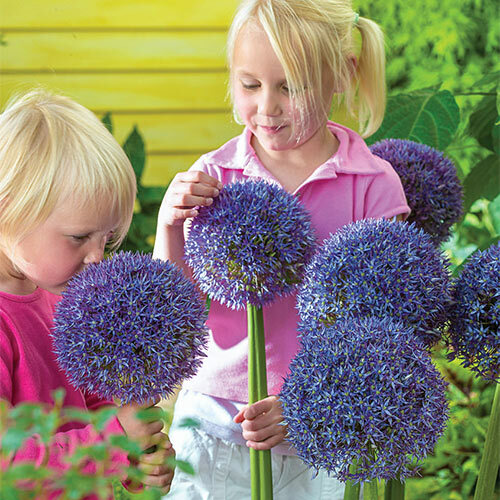 Huge, 10" silvery lilac flower heads will turn heads in mid- to late-spring landscapes! Sitting a top straight and sturdy stems, this new allium looks amazing in back borders and focal point plantings. Stunning in the garden or vase, they also dry nicely for year-round enjoyment. A vigorous variety that attracts pollinators. Globular flower heads, up to 10" across! 6" deep and 12-18" apart. Loosen soil well before planting.